Meet me at the MusicMedia in Krakow! We invite you to MusicMedia Music in Krakow on 23-25.09.2010r! Here they are! Guitar Wars 2010! The Guitar Challenge again available! With the Musical Publishing House Absonic, bestselling school on 2 DVD “Guitar Challenge” is once again available in good music stores and on. 09/10/2010 at Empik, Saturn, Media Markt and www.fonografika.pl! 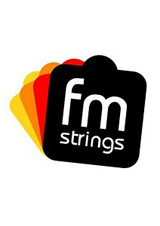 Krzysztof Blas – new endorser of the FM STRINGS! 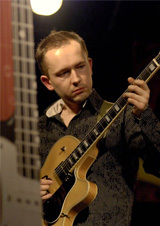 Krzysztof Blas joined the group members excellent FM Strings. Krzysztof Blas decided to treat the audience a journey through nearly all styles of music. “Dreams” is a unique album – combining virtuoso, guitar performances with rich harmonies and colors of many of the original instruments. The Guitar Wars Competition 2010 has started! Click on the logo below to go to the contest! Guitar Wars – new competition! 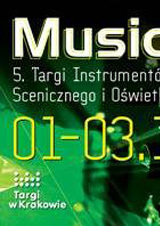 This year, Krzysztof will be at the MusicMedia in Cracow (1-3 10.2009) up to three premieres! The new book – Guitar Wars 2009! Collective work edited by Krzysztof Blas. 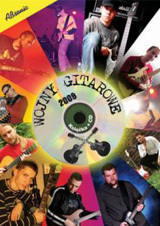 The project formed guitarists: Mateusz Badura, Dariusz ˝Dardar˝Sloma, Marek Gliniecki, Marcin Gucwa, Krzysztof Kukielka, Błażej ˝Tah˝ Nowinski, Piotr Pawlus, Tomasz ˝Piwo˝ Piwecki, Piotr ˝Seru˝ Sewerniak, Michal Szczerbiec, Lukasz ˝Thewool˝ Welna.